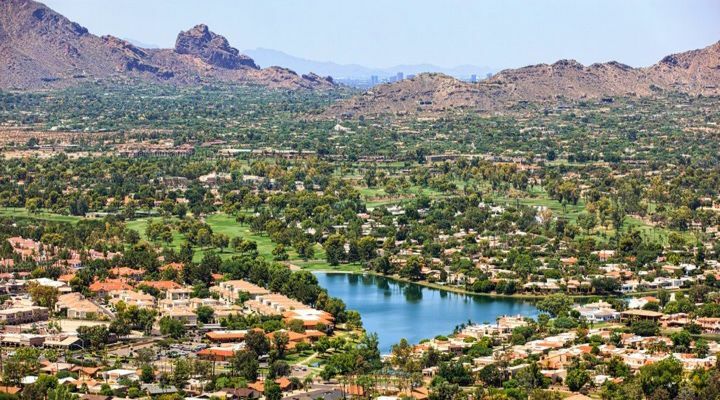 It all took place at the Waste Management Phoenix Open, a PGA Tour event in Scottsdale, Arizona, which is played every January. The grand prize at the 2019 tournament was more than $7 million. 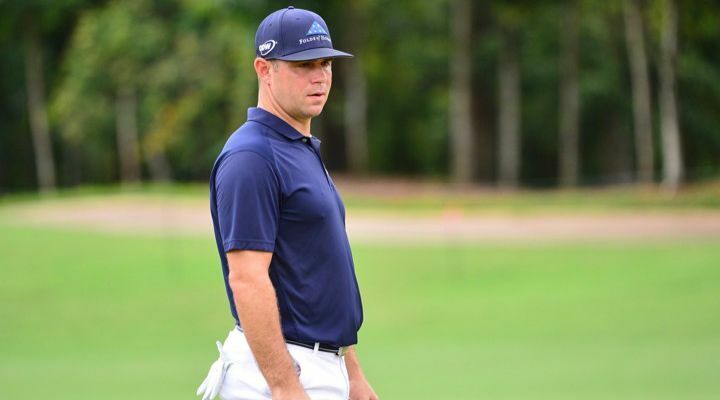 In an act of extraordinary kindness, the tournament’s raining champion, US golfer Gary Woodland, looked out into the crowd for a lucky someone he would invite to play the 16th hole by his side. He spotted his choice. Enter our story’s protagonist, Amy Bockerstette. 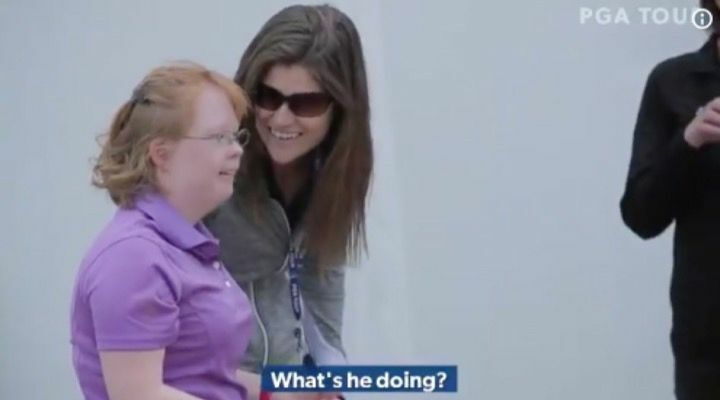 Amy is a Special Olympics golfer, and a rather accomplished one at that. She’s the first person with Down syndrome to ever qualify for a state tournament as a junior and also play for a community college. Amy’s teammates also gave her the nickname “Sprinkles” when she played for the varsity team as a freshman. Woodland approached our heroine and offered a hug with a few kind words before escorting her to the meet some others. 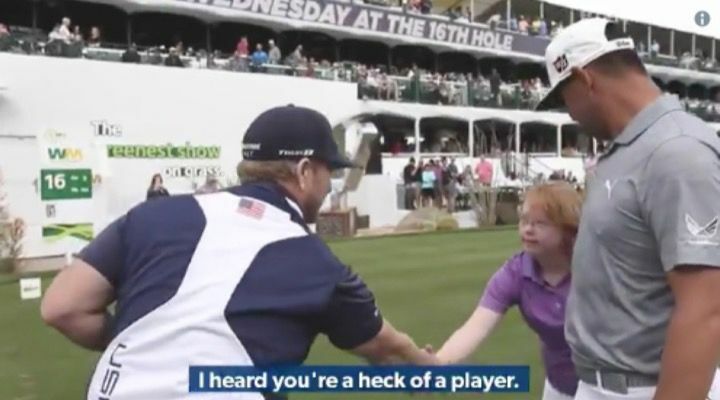 Amy walked with him and shook hands with another tournament player, Matt Kuchar, who welcomed her with a handshake. Amy’s mother and father followed behind the group, awestruck by what was unfolding before their eyes. 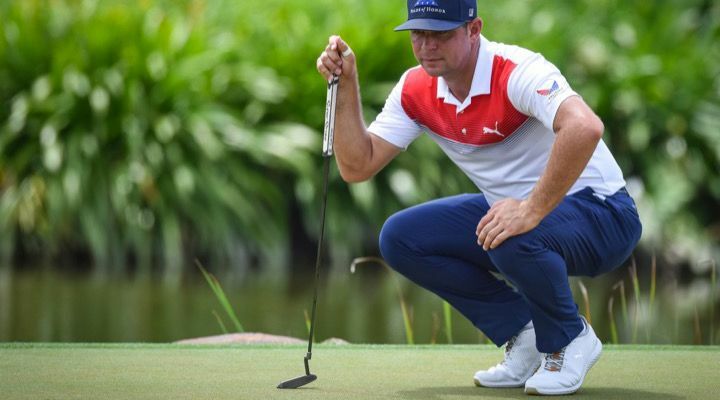 Now, perhaps only golfers can truly appreciate what happened next. But rest assured, it was truly amazing. 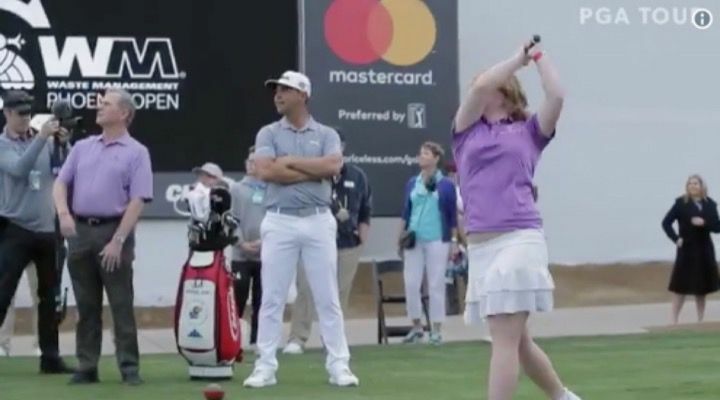 Amy planted her feet in front of the tee, and without even as much as a practice swing, brought the club back and swung it forward, with perfect form, and sent the ball hurling toward the tee on the first try. 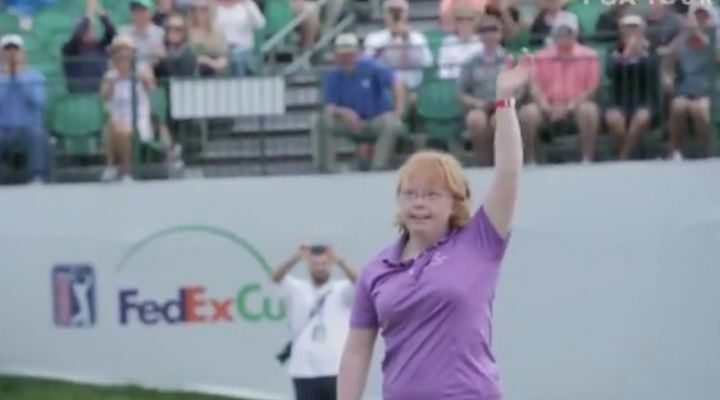 She took a step back and smiled as the crowd and her fellow golfers cheered. 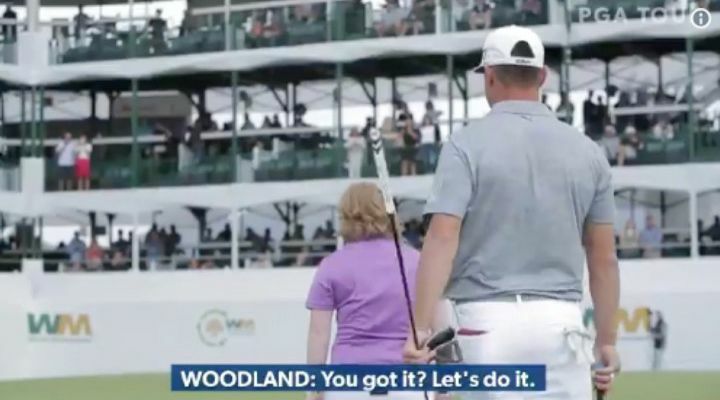 Woodland handed Amy the sand wedge. She walked into the bunker repeating “You can do this” to herself. “I love it,” Woodland said as Amy prepared for the shot. 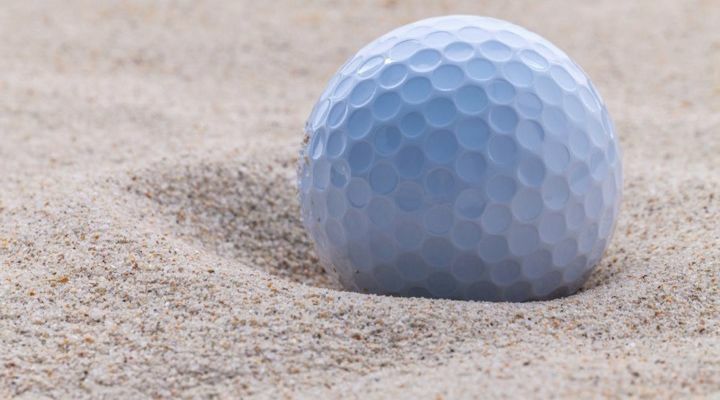 With the precision of a champion, Amy took a half swing into the ball, lofting it lightly out of the sand and onto the green about a yard from the pin. 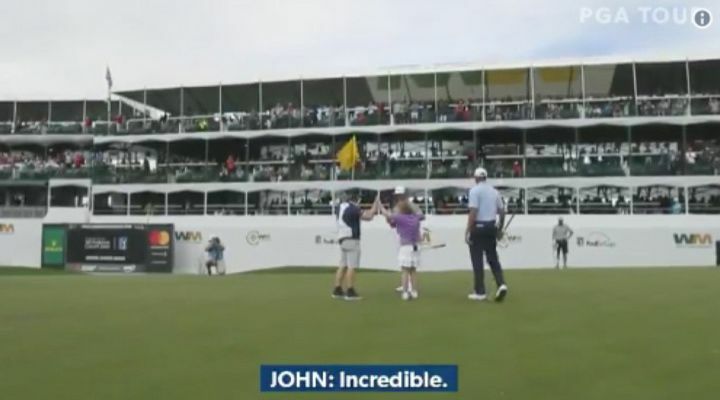 Woodland, Kuchar, both caddies, Amy’s parents and the entire crowd couldn’t believe Amy’s amazing shot. Many professionals couldn’t do what she had just done. 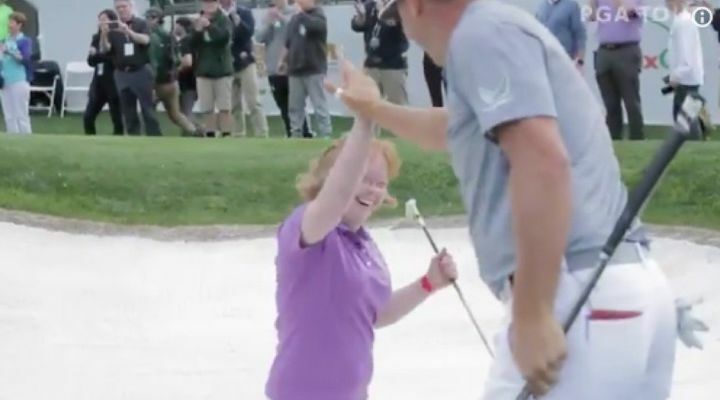 Amy exited the bunker to high fives all around and hollers of enthusiasm from the crowd. The putt was about a yard from the pin. 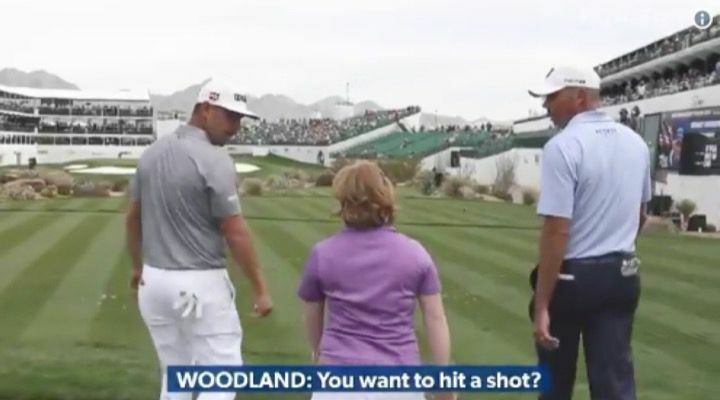 Woodland stood behind Amy, offering advice on the shot, “What do you think?” he asked. “Going to the left?” “Yeah,” Amy said as she lined up her shot. “Why don’t you go ahead and make that?” Woodland said. 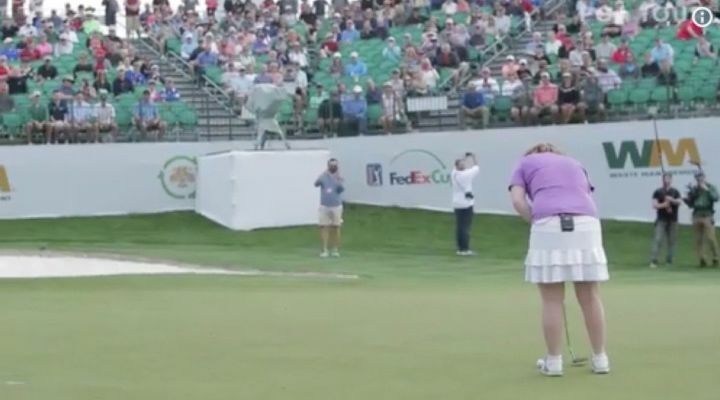 Amy announced another, “I got this,” as she leaned over the ball with putter in hand. The crowd grew incredibly quiet. All eyes were on Amy. Just as her other shots, there was no hesitation. Amy reached back and took a swing. The ball rolled off the club perfectly, made its way to the hole and lightly dropped inside. The crowd went crazy! 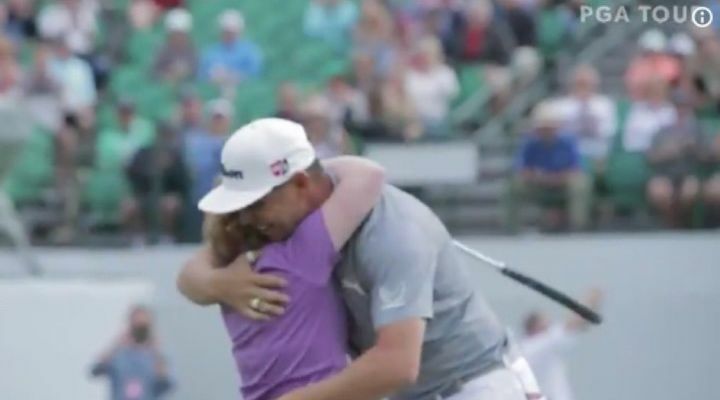 After raising a Tiger Woods-like fist into the air, Amy and Woodland once again embraced in a hug. “You are so awesome,” he told her. “Thank you!” Amy said in return. Kuchar also gave the star a hug followed by a, “Too cool.” Amy once again turned to the crowd for a wave. 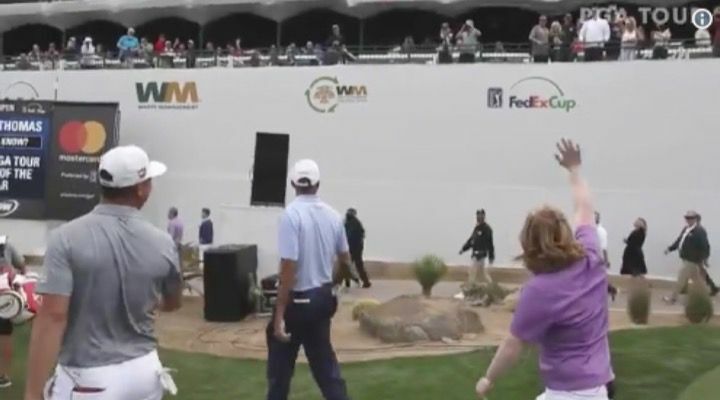 Millions around the country and no doubt the world saw what happened that day at the Phoenix Open. 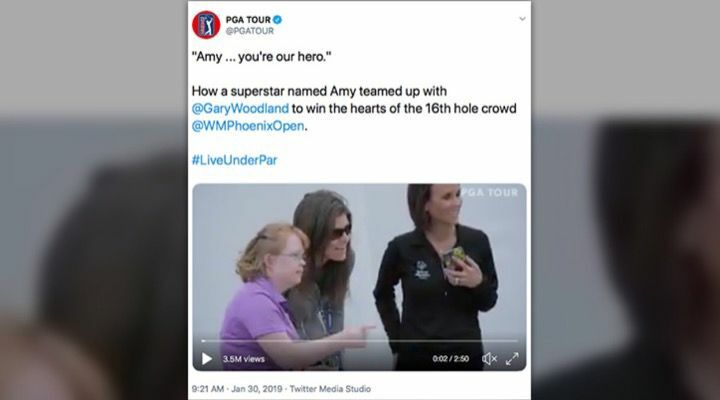 The tweet posted by the GPA Tour showing Amy’s entire experience has been liked more than 27,000 times, retweeted more than 8,000 times, and has almost 10,000 comments. The video itself , at the time of writing, had been viewed more than 3 million times.